Around the world bargaining is just a part of everyday transactions, but perfecting this art depends on what country you’re in. Kick-start your haggling technique with these general rules of thumb. Wherever you are in the world, it always pays to learn a few key phrases in the local tongue. When it comes to haggling, know how to say “how much does it cost?”, “it’s too expensive” and “thank you”. Not only does this help with any language barrier, but local people generally appreciate when travellers try to speak their language and it can help negotiating a better deal. Be very familiar with the exchange rate so you can quickly decipher if the price is appropriate or not. You can easily find yourself fighting over 20,000 Rupiah for instance, which equals just $2 AUD. If the difference is less than a couple Aussie dollars, it’s best to just accept the offer. Different destinations have different rules and regulations about haggling, so make sure you do your research beforehand. For instance in Egypt, anything without a written price tag is fair game. However in Bali, while haggling is fine in markets, it’d be offensive to try and bargain in a bricks and mortar store. 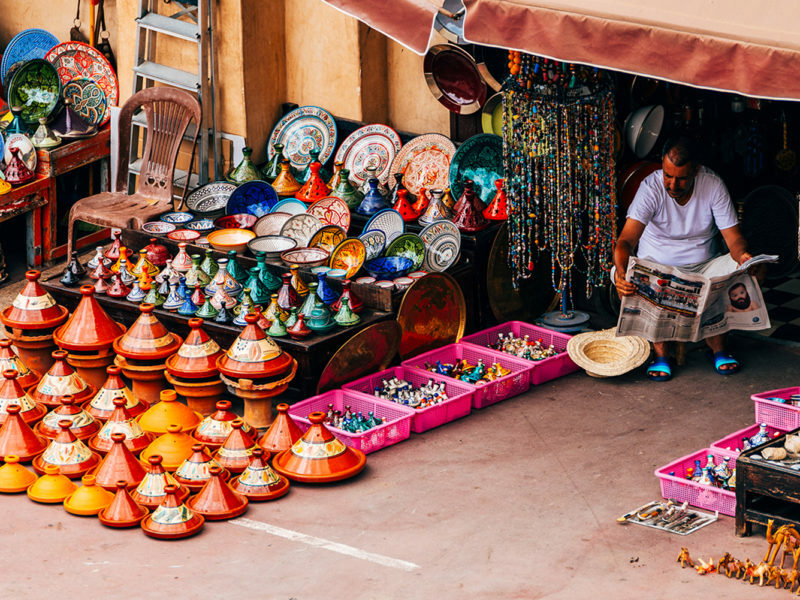 There are a number of tactics you can try to whittle down the asking price, which again, can vary depending where in the world you’re travelling. Firstly, as a general rule of thumb, offer about half of what the vendor initially asks for, then work up from there. If the price is still markedly higher than what you’re willing to pay, walk on to the next shop. If the shopkeeper is still willing to lower the price, they’ll chase after you to renegotiate. If you’re in the market for a number of the same product, it’s worth asking for a discount if you buy more than one. Or if you find somewhere that you know does a good deal, return to them and become a regular customer (if you travel there often). Vendors typically look after loyal customers particularly well. Pretend to be indifferent about the item, even if you are keen to purchase. The more detached you seem, the harder the shopkeeper will need to bargain to persuade you to buy. Don’t ever insult their merchandise, but don’t be afraid to say that it should be discounted because of an obvious defect, like it looks worn or it’s a fake. In many countries such as Thailand, vendors will offer a cheaper rate in the morning. If you’re their first sale of the day you’ll often not only get a great deal, but they will usually rub their money over the item for good luck. Try to find a store out of the main hub, that’s down an alleyway or at the back of the market. These hidden shops are usually cheaper than those in busier areas because they see fewer customers. 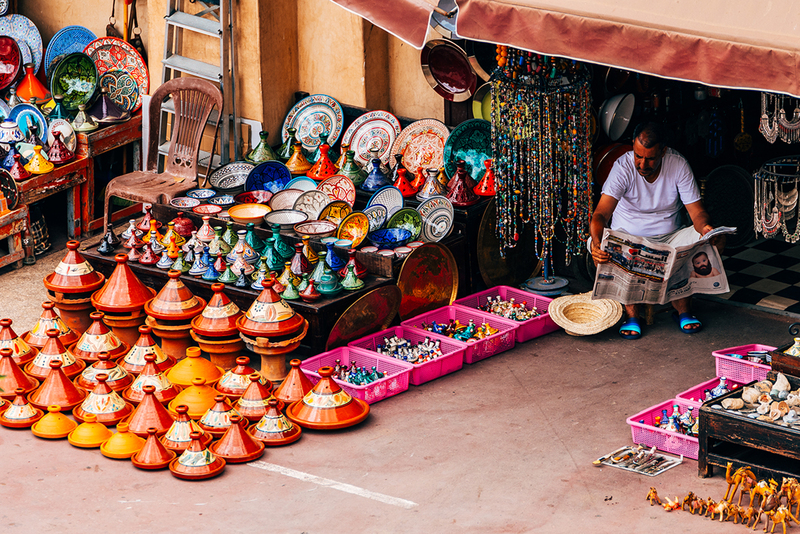 While haggling is a part of everyday life in many cultures, be tactful about it. Don’t pretend to be interested in items purely to play the haggling game. It’s rude to waste their time and nobody gains anything from that. It’ll only frustrate shopkeepers who feel like they’re playing ball, only to have you pass on the item anyway. Language barriers, persistent vendors and loud crowds can be enough to make some of us lose our temper.